The world of vaping has changed dramatically in the last decade, but one thing has remained constant, e-cigs are helping people make the switch from smoking to vaping. Let’s take a trip down memory lane and look at some of the first e-cigs, their modern counterparts and how e-cigarettes have evolved over the years. Back in 2008 the Mini was THE e-cig. It was a ‘cig-a-like’ device that had pre-filled, replacement cartridges. By today’s standards it was expensive to up keep and was limited in terms of flavour choice, but back then this did exactly what smokers needed. Meet the e-cig that changed the face of vaping overnight. A lot of you reading this would have stopped smoking with a Tornado – T. They were the first mainstream e-cig that allowed vapers to easily replace the atomizer and that had a tank style cartridge that meant you could refill e-liquid. The first e-cig with variable voltage! After devices such as the Mini, the Tornado-C Twist battery was a revelation. An extremely simple design that gave vapers what they hadn’t had before, choice. Want a bit more throat hit, simply turn that dial. The Tornado-C Twist started a trend that really took off, variable voltage. The Torpedo cemented that trend. This was something different, an e-cig that had a removable battery, buttons and a screen. While the Torpedo won no beauty contents, it showed us a glimpse of the future. The Switz 2 is the product of the starter kit evolution that the Mini started. Designed specifically for smokers to make the switch, it perfectly emulates the feeling of smoking and is exceptionally simple to use. 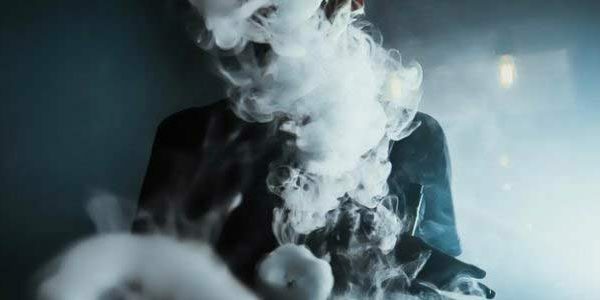 It is extremely popular for new vapers, but wouldn’t have been possible without its predecessors. The Skope P is a fusion of retro vaping hailing back to the Tornado-T and cutting-edge e-cig technology. A robust pod system, the Skope has a refillable cartridge and automatic activation so there are no buttons to press. This has the feel of older style e-cigs, but the Skope P has the latest ECO technology, meaning your battery lasts longer and you use less e-liquid.